” ANDY WARHOL: Where is Maura? Maybe she got caught in the parade. 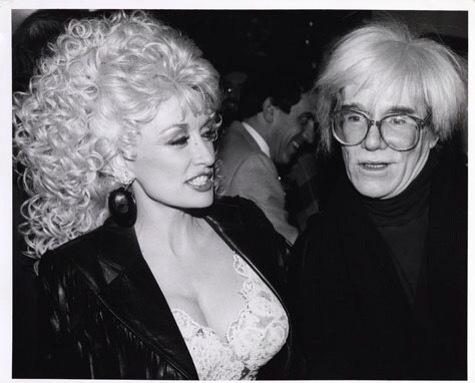 This is an awesome interview Andy Warhol did with Dolly Parton , July 1984. I’ll pick out a few sentences for Y’all to read before you head over to the whole interview. “MOYNIHAN: Would you ever appear in public without your wig? “MOYNIHAN: How many songs have you written? “WARHOL: You have groupies who actually just follow you around? I’m Happy That Dolly still work even if she don’t have to do it. This entry was posted in News, Uncategorized and tagged 1984, Andy Warhol, Dolly Parton, Interview, wig by dollyfan. Bookmark the permalink.